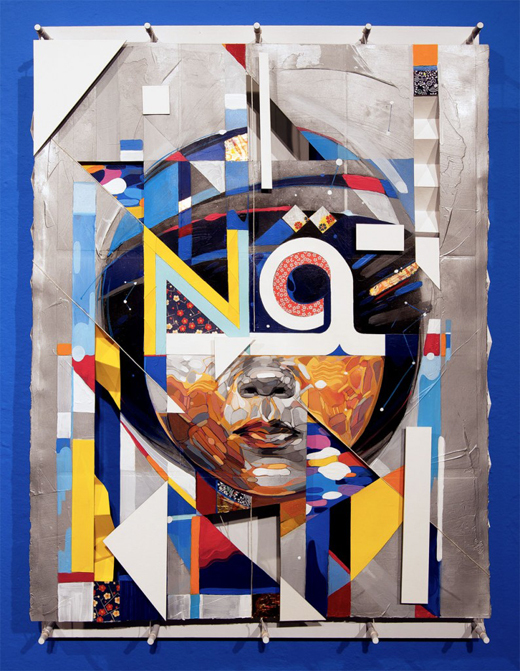 Words by Graffuturism: Samuel Rodriguez recently exhibited new work in a 2 person installation titled “Assembling the Pieces: Memory & Hybrid Identity” at MACLA in San Jose. This new body of work was an extension of his hybrid identity portraits that deconstruct and bring into question the idea of identity. 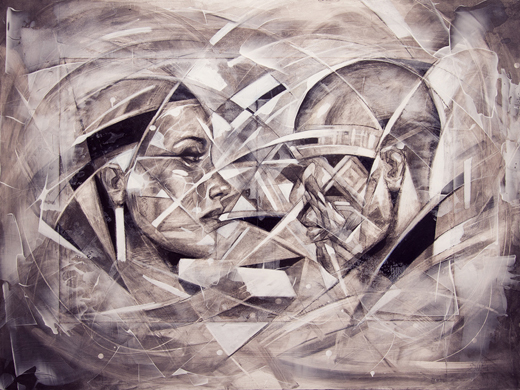 He has taken the work into a new level of deconstruction and added layers of dimensions. 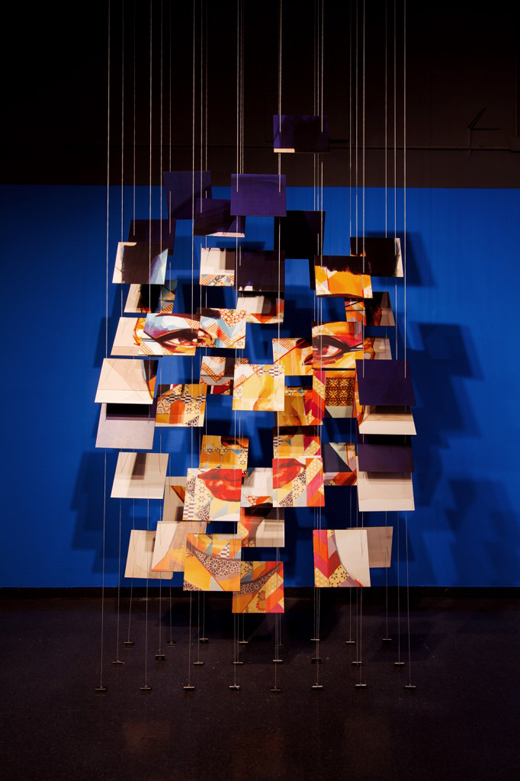 By creating an installation of one of his portraits with a hanging grid system Samuel Rodriguez pushed his portraits into new territory. The scale and detail of the new pieces bring an added edge to the work. This move into intricate systems of installation and assemblage show the artists talent not only as a painter but also as a conceptual contemporary. Very strong work.